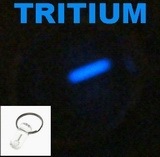 Mini TRITIUM Glowing Keychain, No Battery Required! - LATEST GADGET! These marker are self-illuminating. 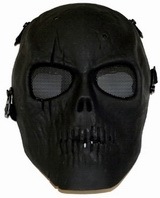 They do not require batteries or recharging & will remain constantly illuminated even during prolonged periods of darkness. Illumination is provided by Gaseous Tritium Light Sources that provide an absolutely reliable luminance throughout their service life over 10 years.